I am pretty sure afterschool snacks have evolved over the years and some are far healthier that what I used to eat. When I was growing up, for a spell, we had a housekeeper that also made the most delicious homemade cookies & sugar cinnamon doughnuts for when we got off the bus. It was for a very short period in our lives, but it was very memorable. After she was no longer with us we had to fend for ourselves and made due with whatever was in the house; which at times was not much. I recall eating sardines on saltines, buttered bread cut up in a bowl with maple syrup. I do not have fond memories of either of those but when you go from rags to riches back to rags you figure some things out. I do have some fond memories of a couple of afterschool snacks and have shared them with my kids & others. I really have no idea where my favorite snack came from. I can’t imagine that I came up with it; but who knows I have always been pretty creative; or at least I want to believe that I was/am. 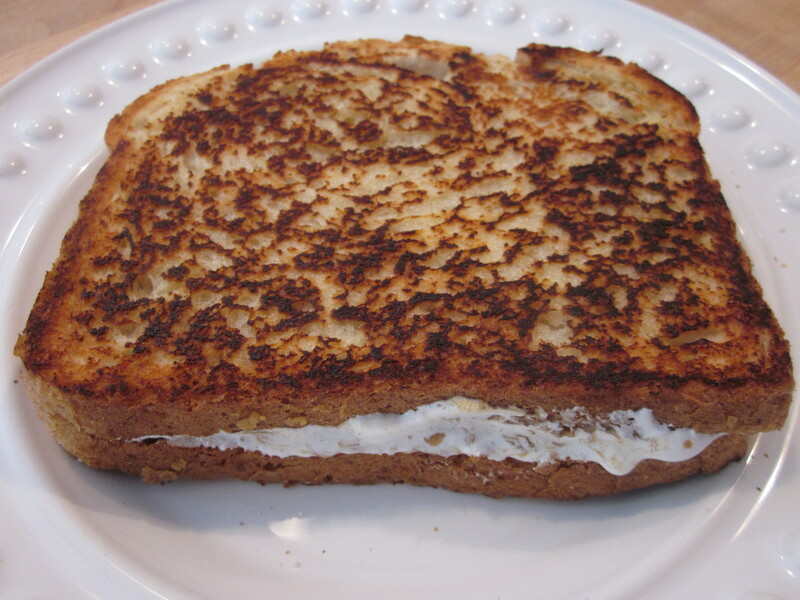 My favorite afterschool snack was a peanut butter and fluff grilled sandwich. Don’t knock it unless you try it. While I know this is not a healthy snack and it shouldn’t be an everyday snack. 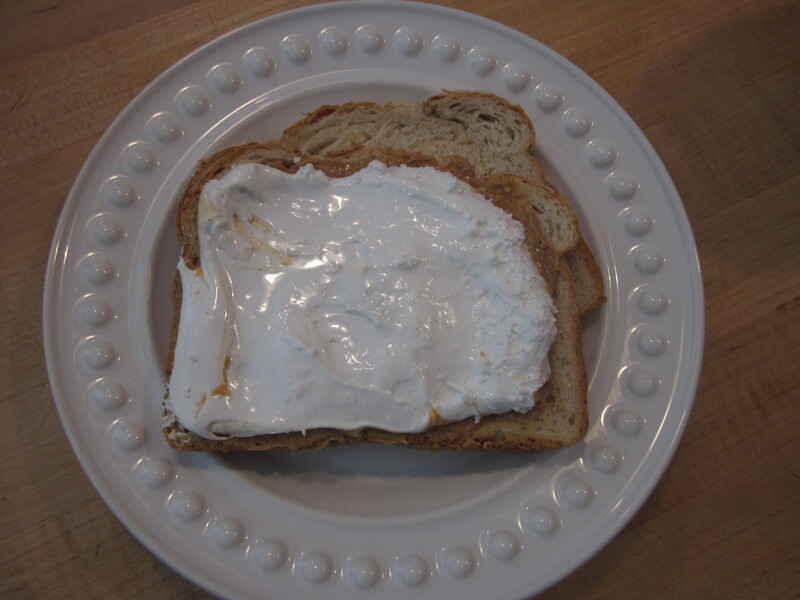 If you like peanut butter and fluff I encourage you to try it at least once. 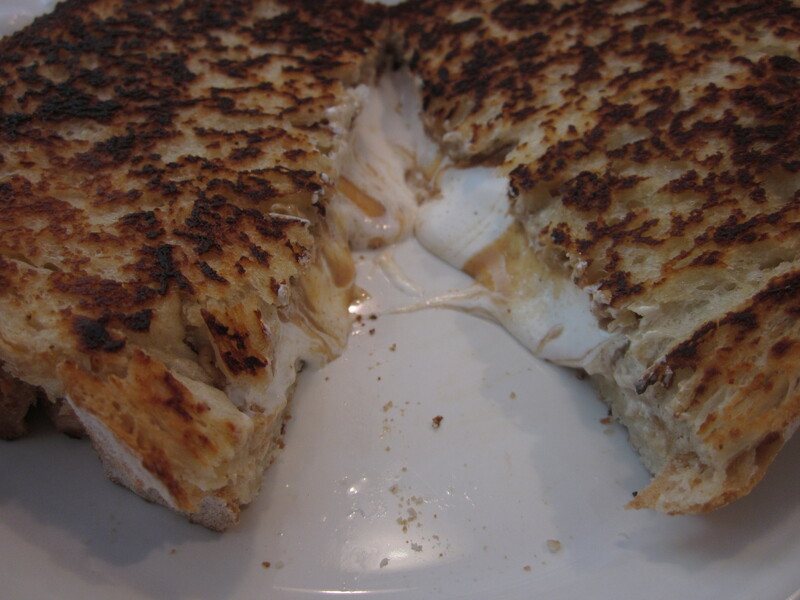 It is made exactly like a grilled cheese just different fillings. 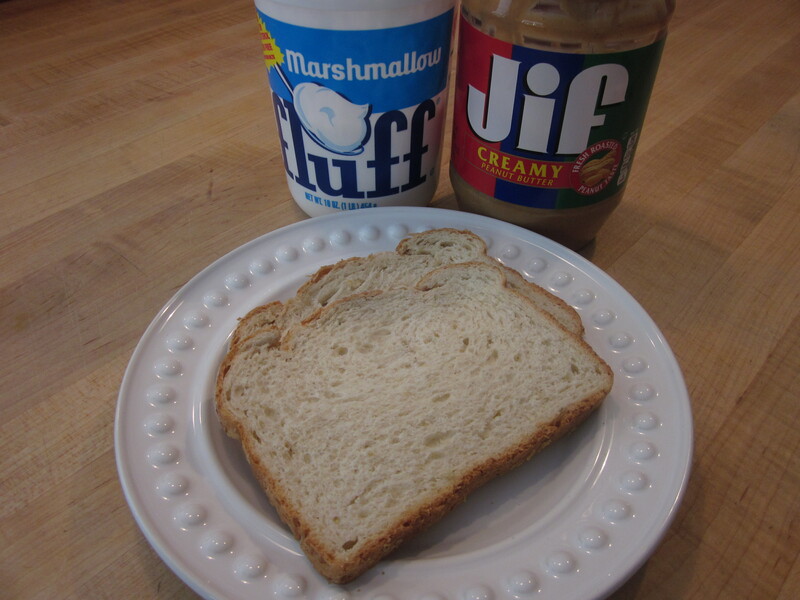 My daughter doesn’t like fluff and my husband is not a fan of peanut butter but my son loves them and makes them on occasion. I recall sitting around one night surrounded by family not sure how they came up but they are so easy to whip up; I made several of them; sliced them up and handed them out. They were a hit! 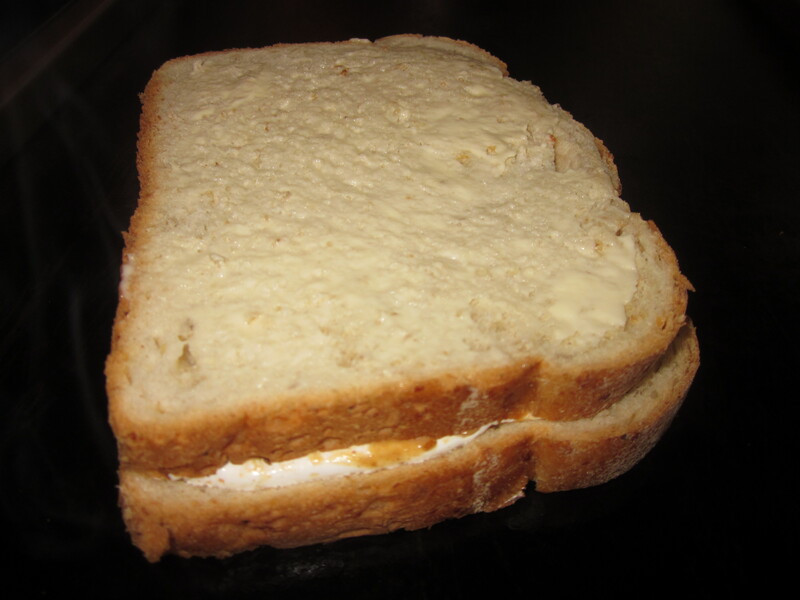 The other is a cold bean sandwich; simply buttered bread, beans done! I am pretty sure this one came from my parents. I remember my dad putting thinly sliced raw onions on his, he loved cold bean sandwiches. Again might not be for everyone one but it is pretty darn good. I posted that I was eating a cold bean sandwich on FB a few years ago and it definitely stirred up a response. Some people loved them others not so much. Same goes in my house the kids and I like them my husband does not, but his brother does. He was one of the ones that commented on my FB post. After reading this I hope you reminisce a little about snacks from your childhood. If they were noteworthy share them! I also wanted to share a recipe that I made as a child and still make to this day and it is pretty easy for kids to make if you allow them to use the stove top. In a large saucepan, combine sugar, butter, milk and cocoa. Bring to a full boil over medium heat, boil for 3 minutes (do not skip this step) remove from the heat and stir in the remaining ingredients. Drop by spoonful onto waxed paper. Let them set until firm. If you skip the boiling step they will not set up. Trust me I’ve done it, my son has done it. Just be patient and let the mixture boil for a bit.